Sleek in appearance and operation. Designed with tapered wrist rests and rounded corners. 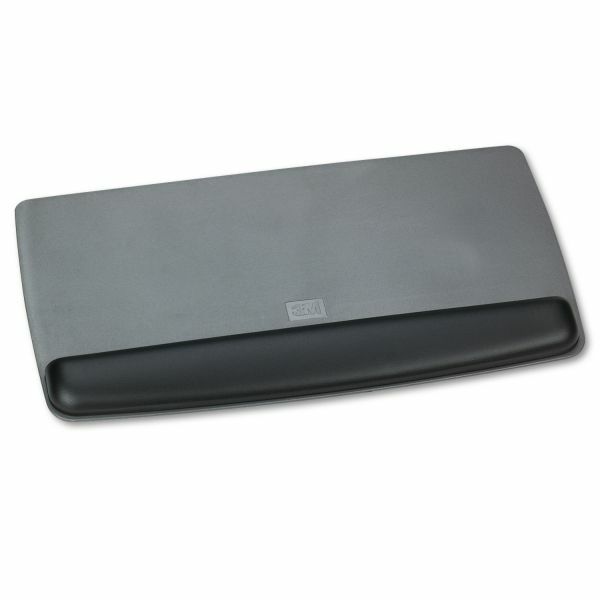 3M Antimicrobial Gel Keyboard Wrist Rest Platform, Black/Gray/Silver - Gel wrist rest platform features antibacterial protection and tilt-adjustability. Adjusting the tilt helps keep wrists properly aligned with your keyboard. Sleek design includes a tapered leatherette-covered wrist rest and no hard edges. Softer gel with a cushier feel provides optimal wrist comfort. Soft leatherette covering that is easy-to-clean.